The San Diego Association of Governments Friday announced it received a perfect score on its triennial review by the Federal Transit Administration. Congress mandated the FTA perform triennial reviews in 1982 as a method of “examining grantee performance and adherence to current FTA requirements and policies.” The FTA found no shortcomings with SANDAG’s management of federal funds, its ADA compliance and its Title VI compliance, among other categories. 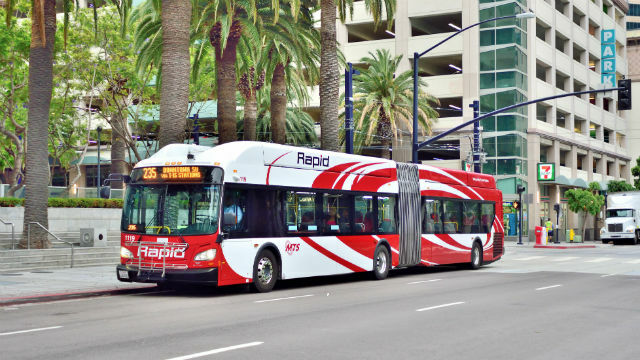 SANDAG establishes transit fare policy in the San Diego region and manages grants for the county’s various transit systems. Last month, the FTA gave San Diego’s Metropolitan Transit System a perfect score on its triennial review, the fourth consecutive time MTS has received the distinction.